When I read through forum posts, a lot of people ask about avoiding high potassium foods. They may have heard it on another blog, another forum, or from their doctor. 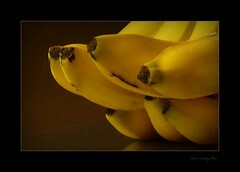 Of course, there are usually very few details given as to why or what foods to avoid that are high potassium foods. Today I would like to take a few minutes and go over what foods are high in potassium and how you should eat them in your renal diet so you know better where to start. There are many misconceptions out there about what foods are high in potassium and how to control your blood levels of potassium. First of all, many foods contain potassium. It is natural and is not something that you even want to remove completely from your diet. Second, it depends on your stage of kidney failure as to what amount of high potassium foods you can eat. That means that you should know what stage you are at and how potassium affects your kidneys. Early in kidney disease, the goal is to control the related conditions, which are possibly what caused the kidney problems. So if you have kidney failure that is considered to be at a stage I or stage II level, your focus should be on controlling your blood pressure or your diabetes, if you have them. Why do I have to avoid high potassium foods in kidney disease? One of the main functions of your kidneys is to release potassium when it gets too high in your bloodstream. A high level of potassium in your bloodstream can cause you to have an irregular heartbeat or possibly a heart attack. Normally, your kidneys remove the extra potassium and release it into your urine. As your kidneys start to fail, they have a harder time removing the potassium from your bloodstream and it may build up to unsafe levels. This typically happens after stage III kidney disease, and should be watched closely as you near dialysis to avoid complications. Read more about Living With Chronic Kidney Disease in my latest book on Amazon. Click here to learn more. In the early stages of kidney disease, it is recommended that you follow a DASH diet, which helps to lower blood pressure. This diet contains many high potassium foods because potassium can reduce your blood pressure. If you also reduce the amount of salt that you take in, the many fruits and vegetables that you eat on a DASH diet help you lower your blood pressure without many complicated medications. So early in kidney disease, you might find yourself eating more high potassium foods because you need to eat healthier and lower your blood pressure or control your diabetes. High amounts of potassium are naturally found in items such as oranges potatoes, bananas, dried beans, dried fruits, peas and nuts. Again, I would like to emphasize that you do not need to avoid these foods completely. You should limit the amount of them that you take in to avoid high potassium blood levels. Lima beans, for example, contain almost twice the potassium of the banana. Many people cite a banana as a food to avoid when you’re trying to reduce the amount of high potassium foods that you eat. Sweet potatoes and white potatoes also contain over 1000 mg of potassium per potato. Tomatoes also contain almost 1000 mg, especially in canned products. Cantaloupe and Brussels sprouts contain about 500 mg of potassium per cup and should be eaten in limited amounts. That gives you the more important list of foods that are low potassium foods and will help you control your later stage kidney disease. I feel that knowledge will help you to make your diet easier and more manageable to follow. Learn more about our meal plans that we provide that contain the nutritional information, grocery lists, meal plans and meal patterns for predialysis, renal diabetes, and dialysis patients. Click on the words for the diet you need to gather more information. And stay tuned to learn more about how to leach vegetables to reduce the amount of potassium even further in our next installment. I am in stage 4 kidney patients what kind of food or meal can i eat because I am just eat what people put on line and breakfast .